Know the times of the year when the target plants are vulnerable to control. Flowering and producing fruit requires much of a plant’s physical resources. Repeated mowing during the growing season can exhaust the root reserves of perennial plants. These are times when mechanical or chemical control methods are likely to have the most effect. 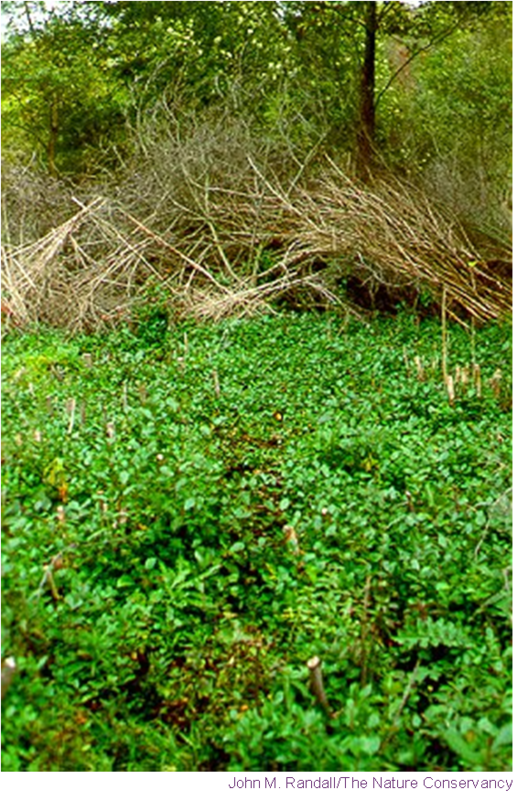 Over several growing seasons, this is a reliable method for successful invasive plant removal. 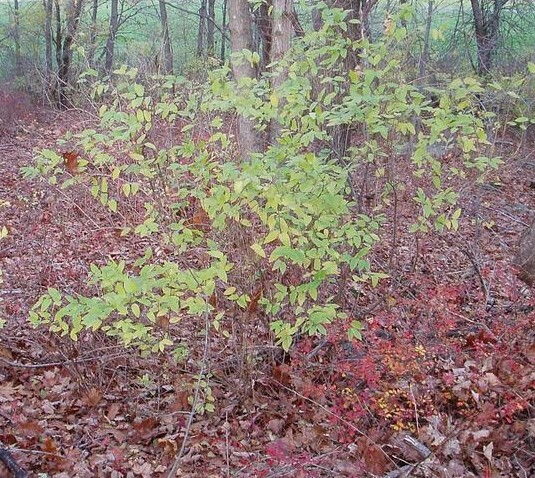 Some shrubs leaf out early, or continue active growth into late autumn when native plants have gone dormant. 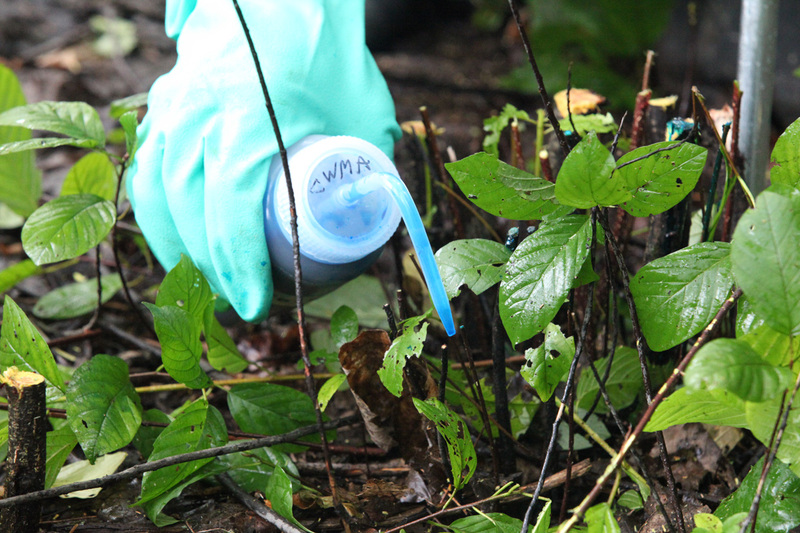 This simplifies detection, and reduces the risk of herbicide overspray onto desirable vegetation. Bush honeysuckles leaf out in early spring and hold their leaves longer than most native shrubs and trees. 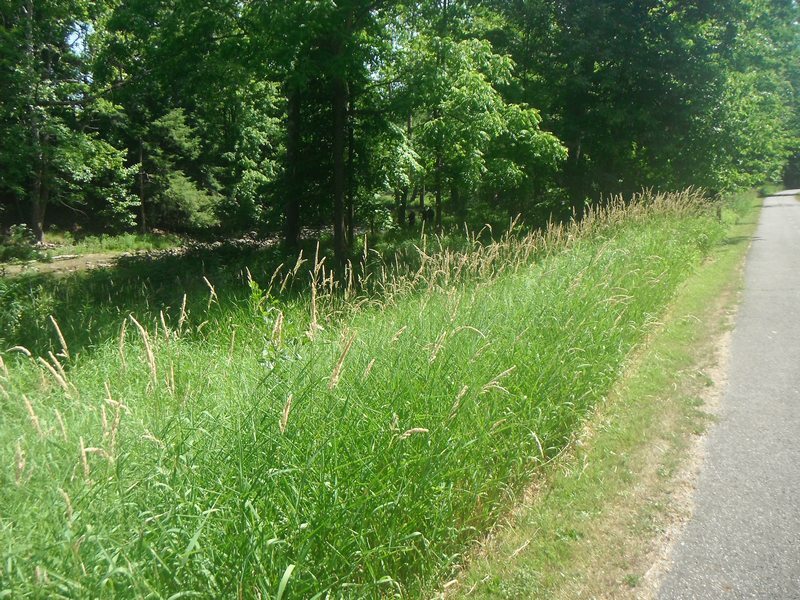 Herbicide is often the most efficient way to control invasive species over a large area (such as a nature preserve or park district). Although herbicides have potential side effects in the ecosystem, their use can be minimized and highly focused when combined with proper timing, plus mechanical or cultural treatments. This is called Integrated Vegetation Management. Herbicide in particular, and management in general, works best when the target plants are actively growing. Be aware that during droughts or prolonged flooding or other stressful conditions, plants may not be metabolically active. Plants that are covered in dust, or silt from spring floods, are also unlikely to absorb and transmit herbicide effectively. Cool season grasses, such as reed canarygrass, grow vigorously in the early spring and late summer into early autumn. In theory, they could be treated with herbicide at these times. 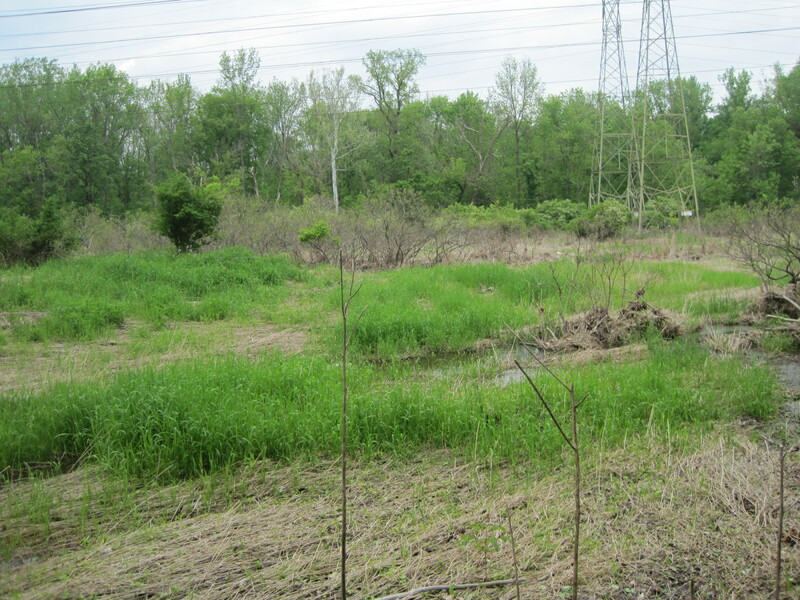 In actuality, reed canarygrass often invades wet areas where sedges are the dominant native flora in the spring. It may be better to forgo spring treatments to enable native competition, especially when dense monospecific stands of reed canarygrass have been knocked back over several years of treatment. Example: Reed canarygrass is a “cool season” perennial grass. It grows quickly in early spring, then after flowering in early summer, it slows growth rate through the warm summer months. Reed canarygrass in a wet right-of-way in early spring. By midsummer, reed canarygrass has set seed and growth has halted until cooler fall weather. Reed canarygrass resumes vigorous growth in autumn. Reed canarygrass can be mowed when flowering, and before the seed is spread, then again in the fall. Mowing before the seedheads have developed will diminish the future seedbank, although the timing of mowing may extend the summer growth period of reed canarygrass. It might be useful to study the management of pasture grasses, even if the purpose is to manage cool season invasive grasses in the “worst” possible way. 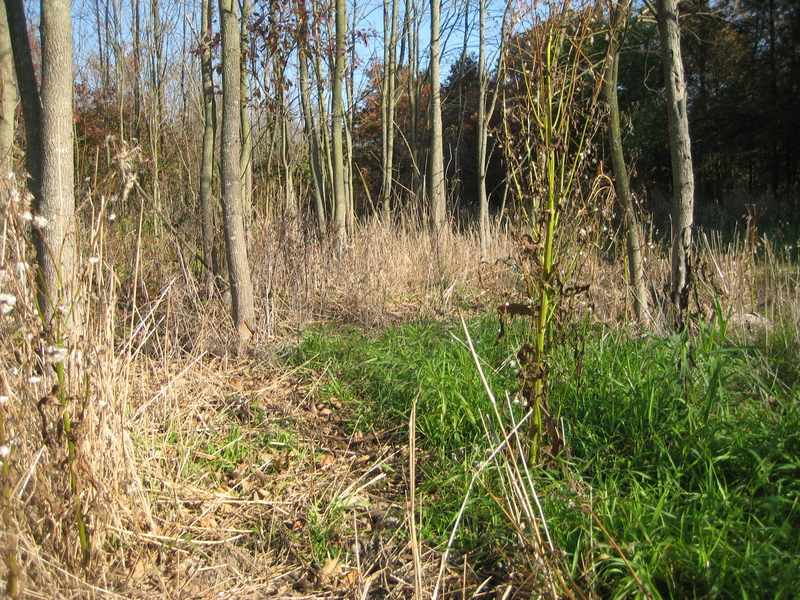 Do not treat the cut stumps: return to the site the following spring when the new stump sprouts are in full leaf, then treat them with foliar herbicide spray. While it requires two visits to the site over a year, it allows for more precise foliar spray at a much lower height. This saves time, product, and risk of off-target damage. Cut-stump treatment minimizes the amount of herbicide applied in the field. 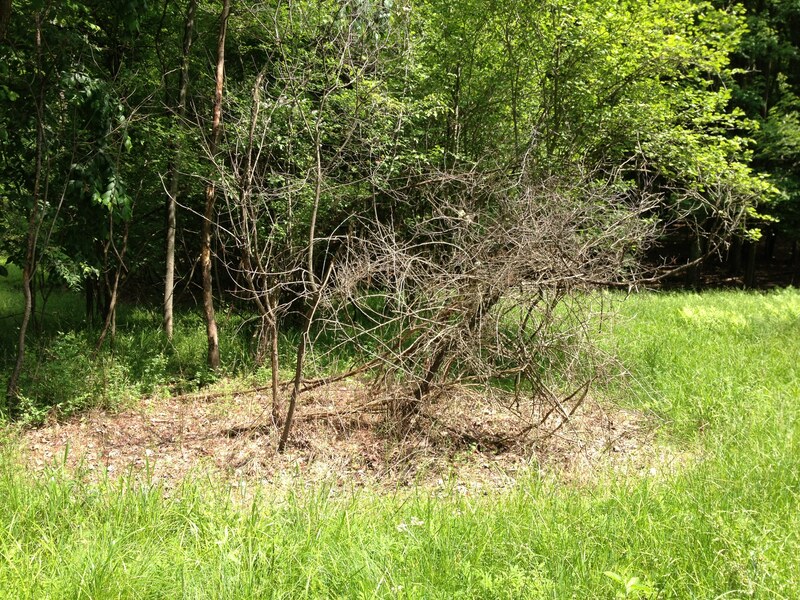 Stump sprouts from buckthorn, cut but untreated in winter, are readily controlled by foliar spray the following summer. There is a risk of overspraying tall shrubs. If off-target damage is unacceptable, use more labor-intensive removal techniques. Next Post Strategy – Site-based or Species-based?